November, 1941. She’s never even seen the ocean before, but Eva Cassidy has her reasons for making the crossing to Hawaii, and they run a lot deeper than escaping a harsh Michigan winter. Newly enlisted as an Army Corps nurse, Eva is stunned by the splendor she experiences aboard the steamship SS Lurline; even more so by Lt. Clark Spencer, a man she is drawn to but who clearly has secrets of his own. But Eva’s past—and the future she’s trying to create—means that she’s not free to follow her heart. Clark is a navy intelligence officer, and he warns her that the United States won’t be able to hold off joining the war for long, but nothing can prepare them for the surprise attack that will change the world they know. In the wake of the bombing of Pearl Harbor, Eva and her fellow nurses band together for the immense duty of keeping the American wounded alive. And the danger that finds Eva threatens everything she holds dear. Amid the chaos and heartbreak, Eva will have to decide whom to trust and how far she will go to protect those she loves. 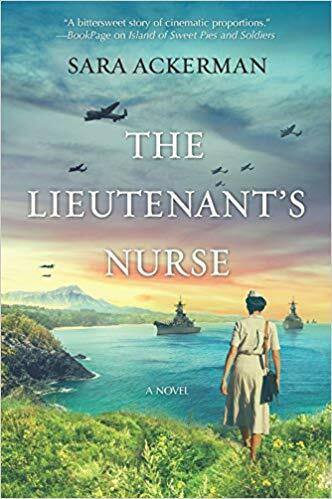 Set in the vibrant tropical surroundings of the Pacific, The Lieutenant’s Nurse is an evocative, emotional WWII story of love, friendship and the resilient spirit of the heroic nurses of Pearl Harbor. The Lieutenant's Nurse tells the story of Eva Cassidy, who travels from the U.S. to Hawaii on the Lurline in 1941. She is escaping her past in Michigan to become an Army nurse in Hawaii. En route to Hawaii she meets Lt. Clark Spencer and they develop an immediate connection, despite her old beau who is waiting in Hawaii. This places Eva and Clark on Hawaii during the Pearl Harbor attack, when everyone's life is upended. I wanted to read this novel because I love historical fiction, especially with a 1940's setting. I had never read a novel set during Pearl Harbor before, so I found the historical setting of this book particularly interesting. I learned as I read this novel. Sigh -- The Lieutenant's Nurse has everything I love most in a historical novel. There is a slow building romance between Eva and Clark, despite some real obstacles. They were both wonderful characters and I liked them and cared about their happiness. I especially admired Eva's courage as an Army nurse in the aftermath of Pearl Harbor. There is a mystery that starts to build after the Pearl Harbor attack, and it adds a lot of suspense to the story. The mystery directly involved Eva and Clark, and although I solved the mystery before she did, I felt some real concern for their safety. There is even a lovable little rescued dog named Brandy. From the descriptions I pictured her as looking a bit like my little dog Abby, so of course I wanted to read her story as well. The historical details in this novel are perfect. For a couple of nights as I stayed up reading, unable to put the book down, I felt like I was transported to Hawaii in the early 1940's. This is a five star novel for me, and I enthusiastically recommend it to fans of historical fiction -- especially for anyone who loves a 1940's setting. I look forward to reading future novels by Sara Ackerman as well. 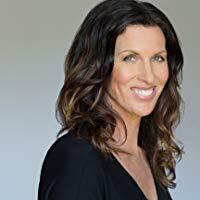 Sara is the bestselling author of Island of Sweet Pies and Soldiers. Born and raised in Hawaii, she studied journalism and earned graduate degrees in psychology and Chinese medicine. She blames Hawaii for her addiction to writing, and sees no end to its untapped stories. When she’s not writing or teaching, you’ll find her in the mountains or in the ocean. She currently lives on the Big Island with her boyfriend and a houseful of bossy animals. Find out more about Sara and her books at www.ackermanbooks.com. I am so glad you loved this! Thanks for being on the tour!